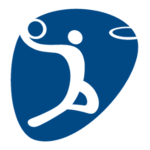 Basketball at the 2016 Summer Olympics in Rio de Janeiro, Brazil was held from 6 to 21 August 2016. The preliminary and knockout matches for men were played inside the Carioca Arena 1 in Olympic Park which seats up to 16,000 spectators, and the matches for women were played inYouth Arena. This marked the first edition that the men’s and women’s Olympic tournaments were played in multiple separate venues. Hosts Brazil, both in men’s and women’s, failed to make it to the quarterfinals after achieving poor athletic performances as they were both eliminated from the group stage. Carioca Arena 1, the largest among the three Carioca Arenas, and Youth Arena, are the arenas that are being used for the basketball tournaments. The Ginásio do Maracanãzinho, site of the 1954 FIBA World Championship and the 1963 FIBA World Championship, hosted the indoor volleyball tournaments instead. Carioca Arena 1 hosted the entire men’s tournament and the women’s knockout stage, while Youth Arena hosted the women’s preliminary round. The National Olympic Committees might enter up to one 12-player men’s team and up to one 12-player women’s team. Just as in 2012, the Olympic hosts were not guaranteed an Olympic berth. On 9 August 2015, it was announced that the Brazil men’s and women’s national teams would compete in the Olympic Basketball Tournament at the 2016 Rio Games after FIBA’s Central Board decided to grant them automatic places at its meeting in Tokyo. ^ Jump up to:a b c d In games among the four teams at 3–2, Croatia and Spain were 2–1 while Argentina and Lithuania were 1–2. Croatia beat Spain 72–70, and Lithuania beat Argentina 81–73.